"Join I.S.T. and track where you've surfed. List an old stick for sale or find a new one. Post photos & videos of your crew's latest escapades. Plan your next travel adventure or offer couch space to someone far away. Extract sweet nectar from a flower like a hummingbird. It's all here on I.S.T." To expand on that, we want IST to reflect surfing's broad spectrum of styles, attitudes, symbols, traditions, and future potential - a continual work in progress that we contribute to daily in our real life ocean playground. 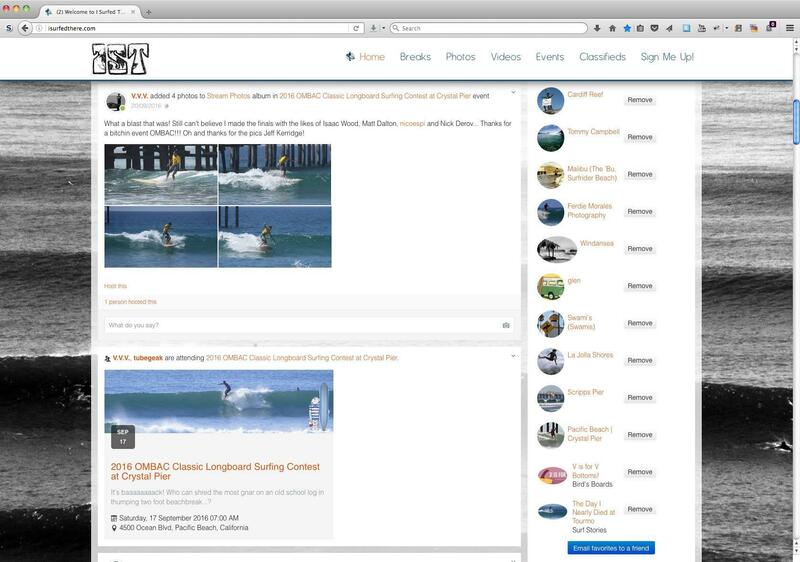 - A 'My Quiver' module on your home page where you can upload photos of all of your boards, along with identifying details. In addition to showing off your gear, it will become a safeguard should one of your sticks get pinched. - Sessions: We want to add a button that says "Enter a Session". When you click it you get a menu of all the breaks you have surfed, you select the break and enter the session details. It then gets posted to that break's page and your page. Other cool features will be to be able to choose which board you rode (from My Quiver), a calendar to choose the date, what was the tide, wind, etc. A portion of the Qustom Product crowd funding campaign will go toward fullfilling the dream that Glen and I had so many years ago. We hope you'll contribute to this effort, and we look forward to seeing you on I.S.T. !